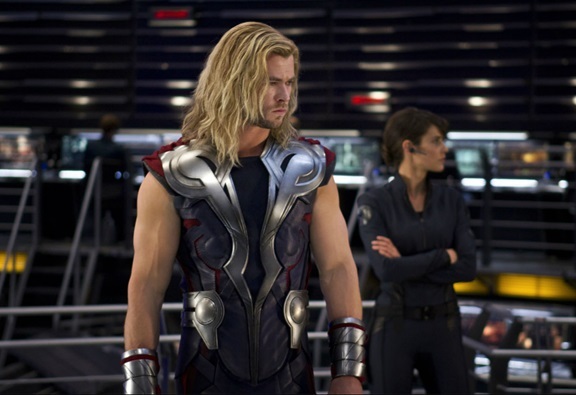 Is Thor Marvel’s Most Important Superhero? The Marvel universe is a vast dimension filled with iconic superheroes and villains each jostling for their position as top dog. But with so many back stories, origins, powers and moral codes between them the prospect of pitting them up against each other to decipher “who is the best?” can be a challenging endeavour. Many of Marvel’s greatest superheroes are notable because of their general humanity. Despite their unworldly powers they each possess very recognisable aspects that audiences can engage with and more importantly relate to. In fact the vast majority of characters from the Marvel universe are flawed in some way, whether it’s down to personality deficiencies or in most cases because of some past dark secrets. These are not perfect entities and comic book fans finally uncovered down to Earth superheroes to idealise. These imperfect characters have become a staple of Marvel’s success over the years and these very distinguishable human qualities are what have helped set them apart. So where would a figure such as the Asgardian god of thunder fit in? Thor debuted in August 1962 when his father Odin decided to teach him a lesson in humility by placing him in the body of medical student Donald Blake. Ever since, this God has battled against enemies and alien foes across the galaxy including most notably his brother and nemesis Loki. Thor is a God and boy did he know it; a common complaint levelled at the blonde-haired icon. Perhaps it wasn’t an outwardly obvious arrogance portrayed, unlike how Tony Stark (AKA Iron Man) acted at times, but it was a difficult character for comic fans to relate too unlike many of the other members of the Marvelverse. In more recent times however the character has had a more likeable makeover giving him a “fish out of water” vibe and making him a lot more vulnerable in terms of human compassion and empathy. This of course was a great influence on his on-screen persona when Thor arrived in Marvel’s latest cinematic outing ‘The Avengers’. The success of recent Marvel blockbusters including ‘Thor’ and it’s follow-up ‘Thor: The Dark World’ has already spun-off a Royal Vegas Canada online slot in the guise of Thunderstruck 2 and plenty more game adaptations have solidified this now very much loved character on plenty of other Avengers-based merchandise as well.